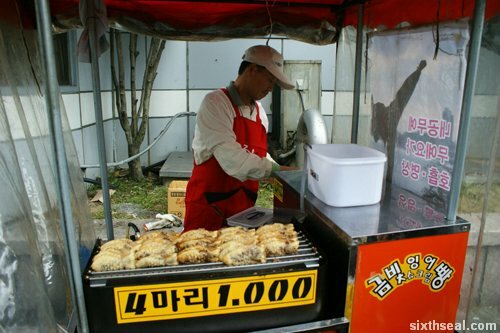 I was at 1U just now and came across this stall selling “Korean fish shaped bread” filled with red bean paste. I didn’t bring my dSLR since I had a data disaster to manage but I remembered having the same thing in Busan. 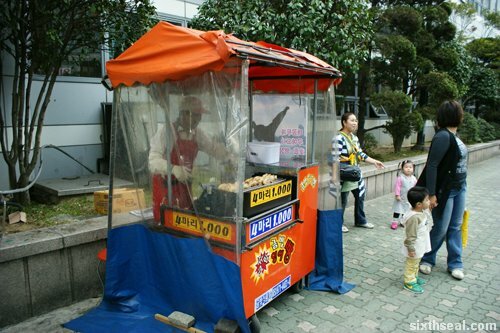 Bungeoppang is a fish shaped cake of sorts sold by street vendors in Korea. It’s 1,000 Won (about RM 3) for 4 pieces. 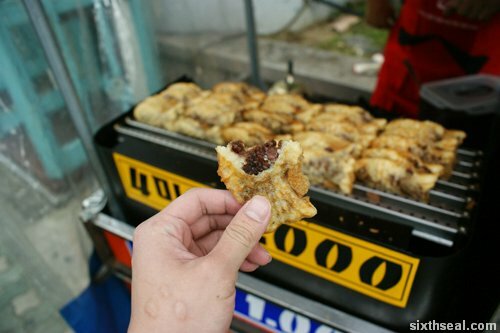 It has a red bean filling and it’s quite tasty when you eat it hot during the chilly autumn weather. We didn’t have a translator with us that day since we’re just exploring the streets and the kind stall owner gave us one with a smile and said “Service”.